Speaking to Business Today in Hyderabad, a city where he spent a good six years before joining Wipro and on his long journey with the IT sector, Soota feels the Indian IT industry, given its huge base of $150 billion and the significance in the global market, today needs to keep creating new demand by continuously embracing newer technologies. From the roaring 1990s, the decade in which the Indian IT industry grew at 50 to 60 per cent per annum to the following decade when it averaged around 30 per cent growth rate and today, at around 10 to 12 per cent, the Indian IT companies have had a long journey and different challenges at each juncture. 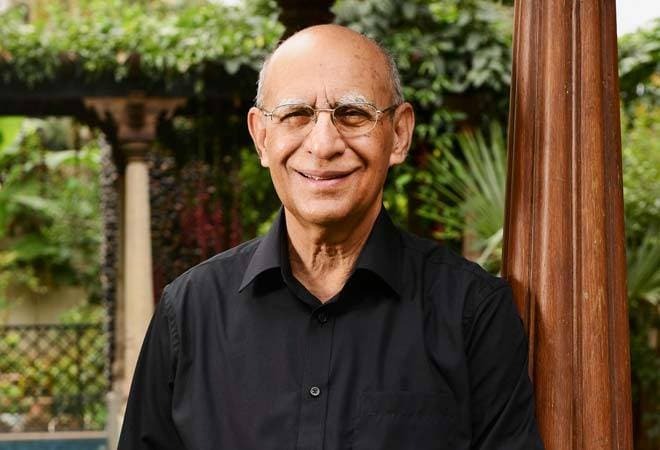 Ashok Soota, the 74-year-old Executive Chairman of Happiest Minds Technologies and a veteran in the Indian IT sector, has seen it all, having spent several decades in the industry, leading growth at Wipro's IT business and later at Mindtree. Speaking to Business Today on Friday, September 30th, in Hyderabad, a city where he spent a good six years before joining Wipro and on his long journey with the IT sector, Soota feels the Indian IT industry, given its huge base of $150 billion and the significance in the global market, today needs to keep creating new demand by continuously embracing newer technologies. The only challenge he sees is the pace at which it is able to grow. "We need to continuously further drive change and embrace newer technologies at a faster pace," he says. What will be crucial, he feels is to look at "how rapidly we adopt all the new technologies and use them to give customers newer solutions. Take AI (artificial intelligence) for instance - we haven't even touched the surface on demand for AI". He is, however, quick to add that it is not as if the industry is unaware of it and points to an example where a leading Indian company in just one year added 20 new AI customers. But such examples are few and the pace needs to be higher. In this journey, he feels the apparent challenge lies in how you build your skills and teams in these areas - be it artificial intelligence, data analytics where industry will need more data scientists or cybersecurity, which will need more people with depth of knowledge in creating algorithms and systems or even use of robotics. All of these will need, as some industry experts have been saying, more mathematics skills, for instance. In fact, some of the experts Business Today spoke to said, how fast the industry can move in this has a lot to do with the talent availability, that too skills that are sophisticated and deep and that begins at the talent creation level - in the universities and technical institutions, there has to be lot more focus there. Here, the industry cooperation would be needed much more than today. Also, in terms of the global markets, some of the newer challenges have been factors like the slowing down of Europe or that of specific sectors. Underlining the importance of faster adoption of newer technologies, especially in an era where on the infrastructure support side, new technologies have become de facto standards, Soota says, "today everybody is moving to the cloud-based infrastructure and everybody has to provide mobile extensions and these technologies have changed the security paradigm". Speaking about his company Happiest Minds, "a mindful IT company" as he likes to call it, founded in August 2011, is focused on enabling digital transformation for enterprises and technology providers. The company, he says, became profitable last year and is currently at a $65 million run rate and a goal to be the fastest to reach $100 million revenues in six years, of which it now has a year and a half to complete. It has 2,000 people and 70 per cent of business from the US, 20 per cent from Europe (down from 30 to 35 per cent earlier), and 10 per cent from India. His professional goal is to take Happiest Minds Technologies public in three years and by then be a $150-million revenue company, a little more than double the current size.